Yes! The company at the top of your wish list just posted a position that reads like it was made for you. You rapid-fire out your resume and cover letter, tidy up your LinkedIn profile, and wait. And wait. And wait. Crickets…. You’re more than qualified. You have sufficient experience. Your references are glowing. So what gives? Which do you want to hear first: The good news, or the bad news? Okay, you asked for it. Although it varies with the company and the job, on average, each corporate job opening receives about 250 resumes. Worse, only 2% of applicants will be called for an interview for the average job opening. And you wonder why you aren’t getting a call back even though you are completely qualified! YOU are not going to submit a run-of-the-mill resume with a stiff-sounding cover letter. 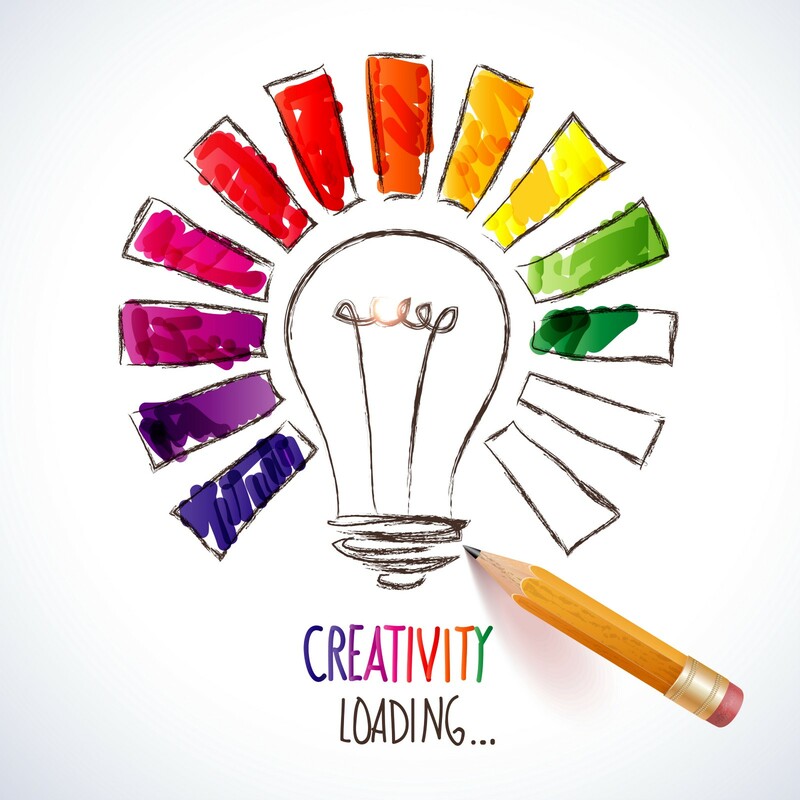 YOU, my friend, have two key traits that 249 other applicants do not: creativity and tenacity. You’ve also got this secret weapon: 6 creative hacks to get your foot in the door with your dream company. For your reading pleasure, I’ve mixed a couple “fun” hacks with four no-nonsense attention grabbers. Creative Hack #1: Get your foot in the door… literally. I remember, many years ago, sitting in the office with the Head of Marketing at one of the corporate offices where I worked. As we were beginning our touch-base, she casually opened a package that had been delivered to her desk. Her eyes widened as she pulled out a small high-heel shoe. Chuckling, she opened the card that read, “Now that I’ve got my foot in the door, I’d love to have 10 minutes of your time to discuss our services.” It was a pitch from one of our vendors, and my marketing executive thought it was fabulous. What did I learn here? It’s all about grabbing the attention of extremely busy hiring managers who are drowning in a sea of meetings, emails and 250 resumes. I’m not suggesting you go out and buy 100 shoes and ship them all out. But I am saying you should try something creative like this for that one role that you reallywant. All right. Now that we’ve got the fun stuff out of the way, let’s get down to brass tacks. It’s time to upgrade your account to Linkedin Premium (free for one month). Apply for your dream job online. Connect to all potential recruiters in the company via LinkedIn, and then take your best guess at all potential hiring managers for the role. Whether or not they accept your connection, with LinkedIn Premium, you can send a message straight to their inbox. Write a message letting them know you applied for the role, but wanted to reach out directly to introduce yourself and share why you’d be the perfect fit. Ask if they could connect you to someone with whom you could learn more about the position. No joke: I landed a job this way at a highly coveted organization. The hiring manager admired my tenacity, as I was the only one that had been able to get a hold of her this way. According to LinkedIn, reaching out to a hiring manager via InMail is 2.6x more effective than emails alone. The Premium functionality is worth it. Introducing the VisualCV portfolio. 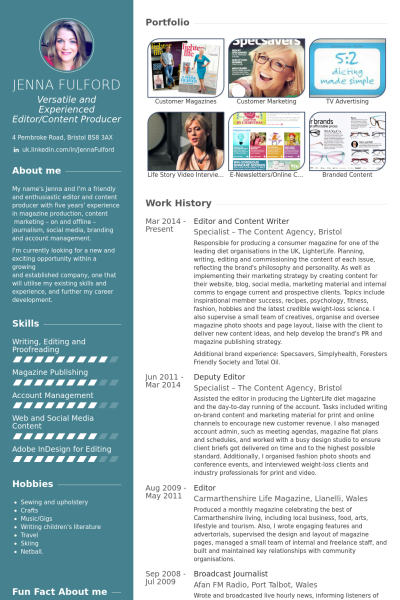 In a nutshell, this curriculum vitae is more visually engaging than a resume, AND it provides you the opportunity to share your portfolio. They’re pleasing to the eye. Colorful! Pre-made templates. Plug & play design! Your picture creates a connection with your audience. You will have the ability to email hiring managers or recruiters a link to your CV portfolio. They love this! Hot tip: Combine the VisualCV with the LinkedIn Inmail hack above and you are golden! Fact: You can never go wrong with chocolate. 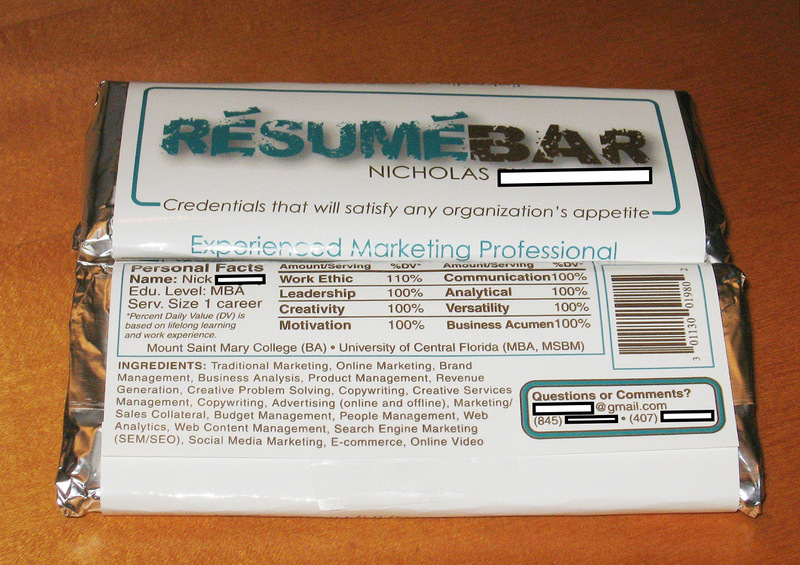 Introducing, the chocolate resume bar! You can get one of these sweet resumes from candybarwrapper.com for .87 a wrapper or $1.97 with chocolate. Or you can try whcandy.com for .69 a wrapper. What hiring manager doesn’t love a problem-solver? Search for pain points that your prospective employer may be experiencing. Research the industry thoroughly. Research the company thoroughly. How does your pain point research correlate with the department or position you are interviewing for? Based on your past experience and expertise, how could you contribute to solving this pain point? Now you’ve piqued their interest! Nothing beats the personal appeal of video. Your hiring manager can hear your voice, see you and your mannerisms, and get a glimpse of your personality. Keep it between 1-2 minutes. Smile. Do a couple takes until it feels natural. Find a spot with ample lighting. Watch your body language (use hands gestures appropriately, sit up straight, etc). Now, give a verbal cover letter with an emphasis on why you’d be the perfect fit for the role based on the job description. End with an assertive closing statement. All right gang, I’m dying to find out which one of these you are going to try and why. The direction you go should reflect the industry, company, role, and, of course, your personality. Not at this stage yet? I got you covered. 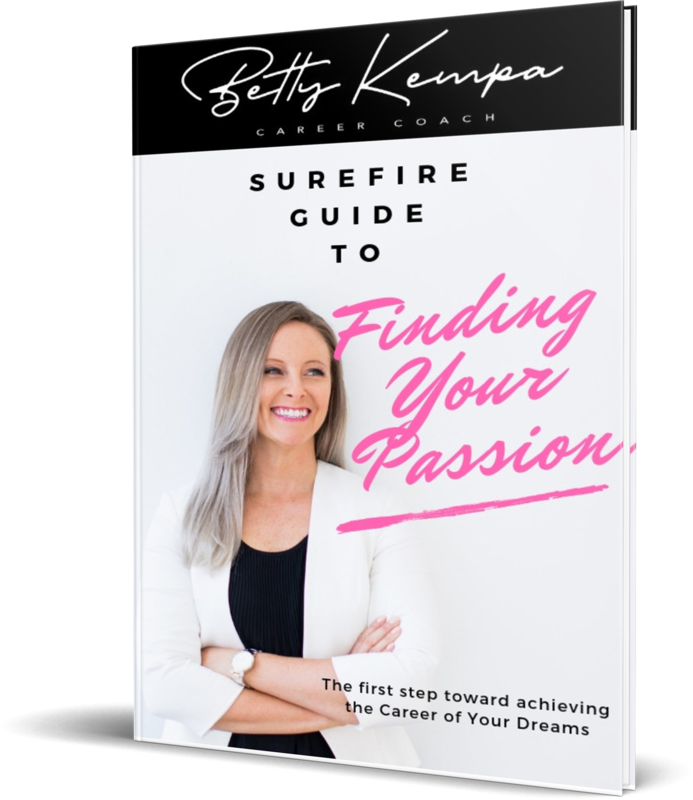 CLICK HERE for my Free Surefire Guide to Finding Your Passion.